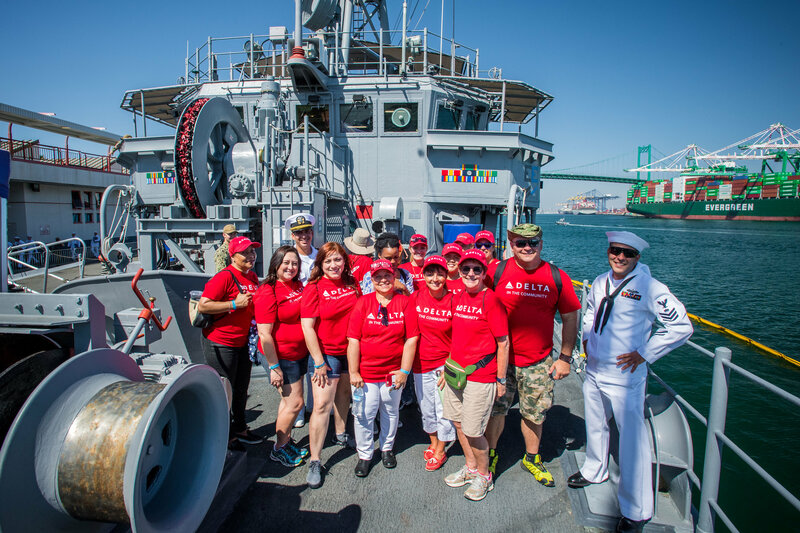 For the third year Delta sponsored LA Fleet Week in conjunction with the Bob Hope USO. Fleet Week is an annual, multi-day celebration of our nation's Sea Services held on the LA Waterfront at the Port of Los Angeles over the Labor Day weekend. Free to the public, the week-long event features public ship tours, military displays and equipment demonstrations, live performances, and more. The event attracts over 200,000 members of the Los Angeles community. 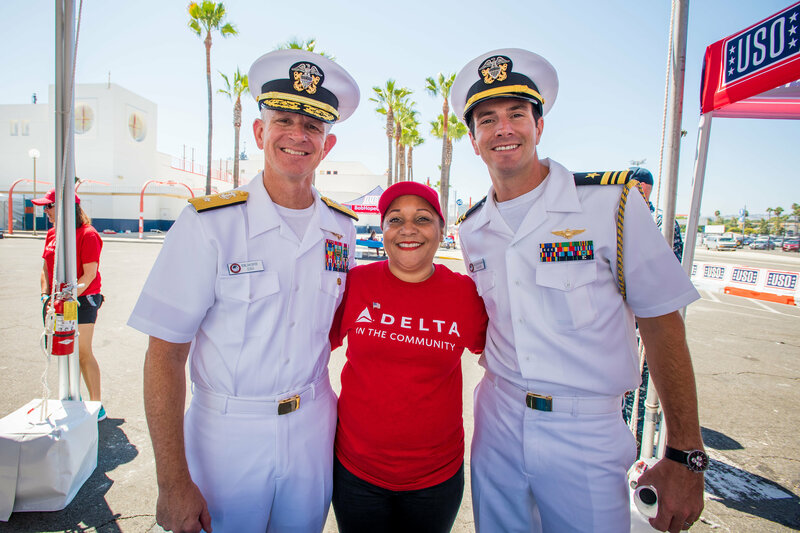 Delta volunteers showed their support and thanks in a variety of events during Fleet Week, which brought over 800 sailors and five warships to the Los Angeles area for the event. Volunteers served lunch and snacks to hundreds of men and women of the U.S. and Canadian armed forces, and Delta hosted the main stage where The Beach Boys headlined an exciting roster of musical entertainment that also included John Stamos. Most importantly, the Delta team recognized and shared appreciation on behalf of Delta and the Los Angeles community to arriving military service members. "Over 50 volunteers from Delta are out here during the course of a couple days serving lunch to the troops as a part of LA Fleet Week. To be able to say 'thank you' in a very small way and to let them relax is truly a privilege," said Dana Debel, Managing Director — Government Affairs. Bob Hope USO is a long-time partner of Delta in the Los Angeles area sharing in its mission to lift the spirits of America's troops and their families. Delta supported the Bob Hope USO's new LAX Center capital campaign by donating $500K toward the Delta Air Lines Welcome Center. Delta employees have been volunteering monthly at the center serving a BBQ dinner to the service men and women since 2014. Giving back is core to Delta and its culture, and Delta is committed to being a strong partner and giving back to the communities where its employees live, work and serve, contributing one percent of its net income to communities each year. Delta's support of armed service members and veterans is one of the airline's key pillars of community support and also includes partnerships with the Congressional Medal of Honor Foundation; Folds of Honor; Luke's Wings, Fisher House, Marine Toys for Tots, the Freedom Center in Detroit, and the Armed Forces Service Center in Minneapolis-St. Paul.